Pouring Filling Batter Into Pie Crust. Description: Pouring filling batter into pie crust. 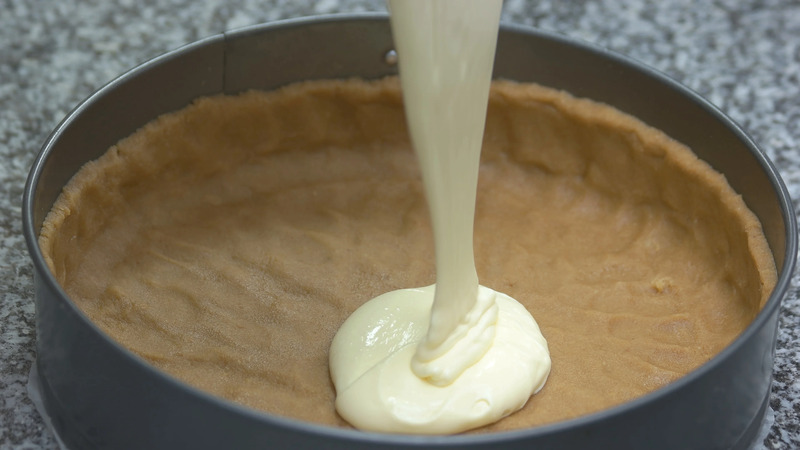 Cream cheese batter flowing into crust in form.